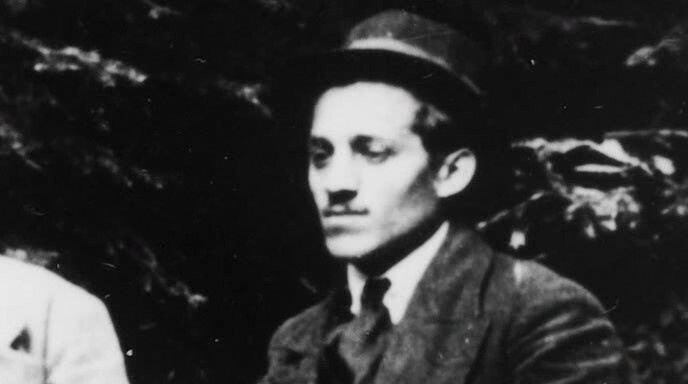 The whole world knows the name Gavrilo Princip, and that of he man he assassinated, Archduke Franz Ferdinand. Princip’s shot triggered the Austro-Hungarian invasion of Serbia that set in motion the chain of events leading to the Great War of 1914. After Serbia appealed to Russia for help, Russia began moving towards mobilization of its army, believing that Germany was using the crisis as an excuse to launch war in the Balkans. Upon hearing news of Russia’s general mobilization, Germany declared war on Russia. The German army then launched its attack on Russia’s ally, France, through Belgium, violating Belgian neutrality and bringing Great Britain into the war as well. Is it possible that a similar chain of events may have already begun unfurling with the Syrian downing of a Turkish F-4 fighter jet? 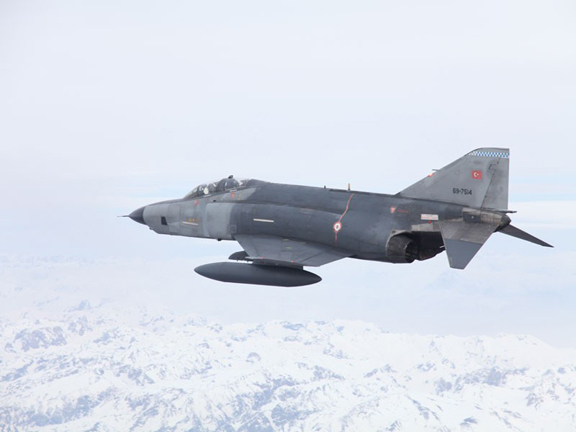 Turkey have already invoked a full meeting of NATO, claimed that Syria have fired on a second Turkish plane, and vowed that Syria’s actions “won’t go unpunished”. The vast and sprawling system of national alliances that existed prior to the events 1914 were considered by policy makers of the time to be a counterbalance against excessive tension and the threat of war. The great powers created alliances ostensibly for the purpose of deterring war. The dominant view was that the potential for dragging in allies reduced the chances of an attack. In reality, it just meant that one spark could set the entire world aflame. This is functionally the same as the interconnecting mesh of derivatives and shadow intermediation that foreshadowed the crash of 2008. As financial parties sold each other more and more “hedges“, the consensus of the time was that this made the system safer, as it allowed risk to be dissipated around the system. The theory was — and there were plenty of inaccurate mathematical models to back this up — that spreading risk around the system made the financial system safer. As it turned out, it didn’t. 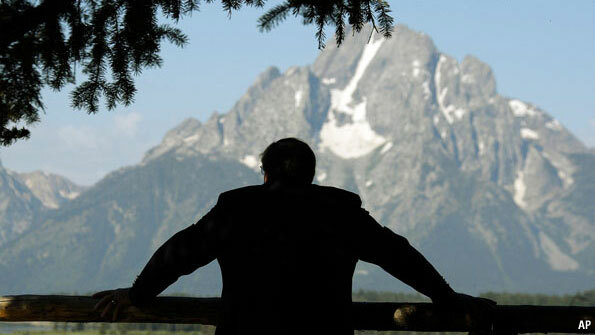 In the wake of MF Global and the London Whale, we know that the financial system has not learned the lessons of 2008. But it seems even more absurd that the diplomatic system has not really learned the lessons of 1914. The NATO system — set up to oppose the Warsaw Pact system, which no longer exists — functions the same way — rather than dissipating risk, it allows for the magnification of international tensions into full-on regional and global wars. In the late 20th century the threat of nuclear war proved a highly-effective deterrent which limited the potential for all-out-war between the great powers, offsetting much of the risk of the hyper-fragile treaty system. Yet the potential for magnifying small regional problems into bigger wars will continue to exist for as long as NATO and similar organisations prevail. We do not know exactly what arrangements Syria has with Russia and China — there is no formal defensive pact in place (although there is one between Syria and Iran) though it is fair to assume that Russia will be keen to maintain its Syrian naval assets, a view which is supported by the fact Russia heavily subsidises the Syrian military, and has blocked all the UN-led efforts toward intervention in Syria. After the Cold War, the Warsaw Pact was allowed to disintegrate. Until NATO is similarly allowed to disintegrate, the threat of magnification will remain large. Could a border skirmish between Syria and Turkey trigger a regional or even global war? Under the status quo, anything is possible. I noted yesterday that anything the government gives you, the government can take away, and that dependency on government services — which might be withdrawn — leaves citizens weak and unfree. One cause for the withdrawal of government that I neglected to mention (intentionally, as I hoped someone would pick it up in comments) was the matter of austerity. While the example I was bouncing my ideas off — of denying treatment to smokers or the obese — remains theoretical, the withdrawal of government services and spending as a result of austerity is very much a reality, especially in Europe. 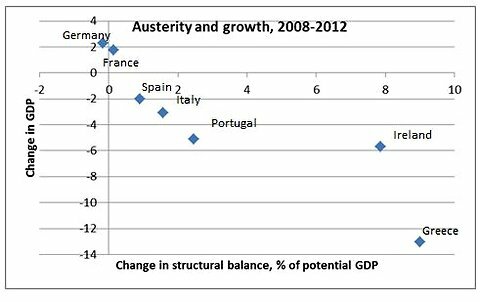 That more austerity produces less GDP (and very often bigger deficits due to falling tax revenues — as exemplified by Portugal) is self-evident. That society is — for lack of a better word — pissed with this outcome is the clear reality on the ground. Made dependent upon government largesse, society now finds the crutch of services, spending and government jobs withdrawn. And of course, this has political blowback. As Tyler recently put it “nationalism is back with a bang”. But it’s not just the nationalists who are doing well, so too are the far left. Just as in the 1930s many people who have been failed by the mainstream parties are angry, and their instinctual reaction is to reject the political mainstream and look to the fringes. Two political mavericks—one a soft-spoken former Communist, the other a firebrand nationalist—are tapping into public anger at incumbents and the harsh austerity measures Greece must adopt to stay in the euro, as support for mainstream parties withers ahead of May 6 elections. Right-wing economist Panos Kammenos and left-wing lawyer Fotis Kouvelis are poles apart ideologically. But they are currently among the most popular party leaders in Greece, and their parties have sprung from nowhere to challenge Greece’s political establishment and the austerity policies that many Greeks blame for deepening their country’s economic crisis. Between them, Mr. Kammenos’s Independent Greeks and Mr. Kouvelis’s Democratic Left could win around 20% of the vote. Their rise is cutting deeply into support for Greece’s two mainstream parties — the conservative New Democracy party and the center-left Socialists, known as Pasok — that share power in a fractious coalition government. Given the utter train wreck that the Greek economy is, it is shocking that these figures are not significantly higher. In the recent first round of the French Presidential election, the far left and far right polled over 30%, a post-WW2 high. All over Europe, the unemployed and dispossessed are becoming increasingly frustrated with the status quo. Europe’s front against austerity has expanded in recent weeks after Spain struggled to meet European Union-imposed deficit targets, election campaigns in Greece faced anti- austerity rumblings and a revolt against extra spending cuts in the traditionally budget-conscious Netherlands propelled Prime Minister Mark Rutte’s coalition toward an early breakup. Europe has been here before. Hitler came to power, lest we forget, on the back of a devastating period of German austerity. After just two years of “austerity” measures, Germany’s economy had completely collapsed: unemployment doubled from 15 percent in 1930 to 30 percent in 1932, protests spread, and Bruning was finally forced out. Just two years of austerity, and Germany was willing to be ruled by anyone or anything except for the kinds of democratic politicians that administered “austerity” pain. In Germany’s 1932 elections, the Nazis and the Communists came out on top — and by early 1933, with Hitler in charge, Germany’s fledgling democracy was shut down for good. It’s the same story; more austerity means more misery, means more political and social rumbling, means a greater support for radical political parties. We haven’t gotten anywhere near the scope or magnitude of the 1930s (yet), but the present European contraction has not dampened the technocratic fervour for deeper and faster cuts and tax hikes (which, quite obviously lead to bigger deficits, which trigger more austerity, ad infinitum). Could this at some point mean revolutions that put radicals into power? It becomes increasingly plausible. And the initial problem in my view is excessive dependency on the state and centralisation. If the state makes up 50% of GDP, cutting spending in the interests of paying down debt will cause a severe contraction throughout the entire economy. If the state makes up 15% of GDP, less so. If the state is only a small fragment, austerity in the interests of paying down debt — even during a recession or depression — is feasible. If the state is a goliath, it will lead to a crippling economic contraction (and of course, the attendant realities of public fury and politcal extremism). Centralised systems are always and by definition fragile to shocks and mismanagement, because the activities at the centre are transmitted throughout the entire system; poor decisions at the centre metastasise throughout the system. In a robust decentralised system, mismanagement only hurts at the local level, because there is less of a mechanism for the transmission of shocks. The lesson sticks: anything the government gives you, the government can take away (sometimes deliberately, sometimes not). That could be healthcare, that could be security, that could be economic growth. If it’s delivered by central fiat, it’s fragile. Are all manufactured goods intrinsically superior to services? Would you rather have a wig or a haircut? Just as there is only so much food we can healthily consume, there is only so much physical stuff we need. We have service-dominated economies because people like to consume services from TV programmes through video games to leisure activities like eating out. When General Motors sells a car, the chances are that it is selling it to someone who works in the services sector; so who is the parasite in this situation? At the national level, we can say that most countries cannot produce all the things they need (or at least desire). Britain, for example, needs food from abroad. So it needs industries that can export stuff in order to generate the earnings that pay for imports. Here the bankers start to look a lot more valuable; Britain’s invisible earnings from financial services are highly valuable.